Writing and editing: What’s the value of an editor in publishing? What’s the Value of an Editor in Publishing? 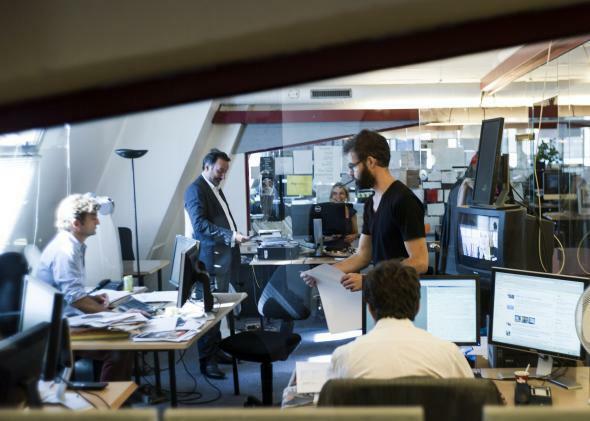 Journalists and editors work at a French newspaper in 2013 in Paris. Good editors really can add value, in two ways. First, editors are industry professionals who can educate often-naive authors about the facts of life in the real world of publishing. (Agents are great at this too, often even better.) The other answers have some excellent details on this, but I think it boils down to: Just because you want to write it doesn’t mean somebody else wants to read it, and certainly not that he or she wants to pay for it. Second, and even more important, editors can view writers and their products from the outside, which authors themselves rarely can. Think of Burns’ “wad some Pow’r the giftie gie us, to see oursels as ithers see us”—that’s the power editors have and writers usually don’t. Sometimes, that means being able to see the positive things an author or a manuscript has to offer, even if it’s not very clear. For example, I’ve gone to writers and solicited pieces that the writers themselves didn’t think they could do or didn’t think would be worthwhile if they did, and sometimes managed to midwife the birth of great work, just by editorial vision and support. And sometimes writers don’t know the value of real gems of argument or information in their manuscripts, things that should be highlighted and brought to the fore, because they’re so used to knowing or thinking about them that they don’t recognize how interesting or important they’ll seem to others. A lot of times, though, it means being able to see the chaff as well as the wheat, the haystack as well as the needle, and finding a way to tell authors infatuated with the sound of their own voices or opinions that the piece would be better if pruned back, rearranged, rewritten, etc. Or, unfortunately, sometimes just dropped entirely, with the writer moving on to a more promising project. Editing: Do editors have to be better writers than writers? Publishing: For any long time authors, what has been the biggest shift in publishing since the digital age began? Copy Editing: How can I effectively edit my own writing?